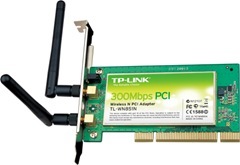 There are multiple revisions of the TP-Link TL-WN851N. * To check the hardware version of the TP-LINK product, please turn over the device, and then you can see a label at the back of the device. There is a character string “Ver:X.Y” (for example, Ver:1.0) in the Serial Number field, and the number X is the hardware version of the device. If the string is “Ver: 1.1”, it means that the hardware version is V1. Use the decompression software such as WinRAR or WinZIP to decompress the file you download.